In summer 2016, Vancouver, BC’s Mark Petersen will release the latest of his sweat-drenched alt-blues with “Too Late” (Single). In “Too Late”, Petersen moves from the tongue-in-cheek themes found on Sidewalk Rain (2011) to a bittersweet story of love found & lost. With a raucous energy, “Too Late” is delivered with a mix of a woozy organ, claps and guitar licks that carry a ska beat and a sense of urgency that makes us root for the guy who’s about to loose his girl. Co-produced by Mark Petersen and John Raham (Afterlife Studio), “Too Late” was recorded live off the floor at Afterlife, inspired by a jam between Petersen and his bandmates while playing to a near-empty dance club. Not wasting a chance to jam with fellow musicians, Petersen and the gang continued playing until a bartender’s girlfriend, a professional modern dancer, began moving to the music. The bouncer took a video of the dancer and Mark used the audio from the video to bring as a demo track to Raham. Together, Raham and Petersen recorded “Too Late” to highlight Petersen’s knack for improvisation and energetic performances. “Too Late” tells the story of the bittersweet nostalgia we have for the fleeting present- “Too Late” is filled with as much longing and yearning that makes a blues classic as a sense of celebration in finding love. In Petersen’s case, that love is leaving the city right after he’s fallen for her. “Gate 88 just called your name / As you fly / Return the rain / Too late, Too late / I’m in love with you”. Delivered in a ska groove and Petersen’s raw and textured voice, “Too Late” is a signature Petersen song- you cannot help but identify with the guy (for better or worse) and find your body moving to it. Petersen’s list of accomplishments and successes include touring with Econoline Crush, Limblifter and fronting Threesixty, his first band, which released a self-titled debut EP that brought deserved attention to his voice, and songwriting skills with the lead track “The Leading Brand” – garnering him second place in the CFOX Seeds contest and a best vocalist award. 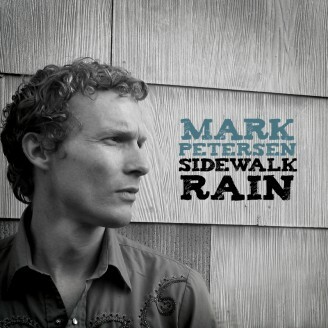 Today, leather clad and dripping with sweat, Mark Petersen is a frequent blues act on the town in many bluesy haunts. On performing, Petersen says, “We will always play [our songs] with a bit of improv, so there are no rules and it’s a blast […] it’s all pretty honest stuff.” When Petersen isn’t jamming around town, he is working on his next full-length album, set for release in 2016. On the upcoming album Last Night, Petersen will bring in musicians Doug Elliott(ODDS), Pat Steward (ODDS), Geoff Hicks (Colin James) and Mike Kenney (Vancouver Canucks composer + Modelos guitarist). Last Night will feature a combination of hard blues shuffles, Latin-influenced beats, ZZ-Top-inspired rock and traditional blues in the early The Fabulous Thunderbirds tradition. 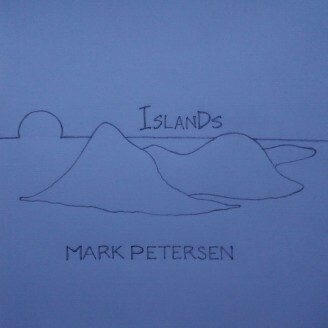 Told through Petersen’s signature vocals, guitar licks and infectious energy, Last Night is set to present Mark Petersen at his most authentic. Petersen’s voice sounds metallic; that gives him an imploring quality, but plays his blues with a raw edge and in a diversity of styles; that gives him an immediacy that flashier guitarists seem to lack.